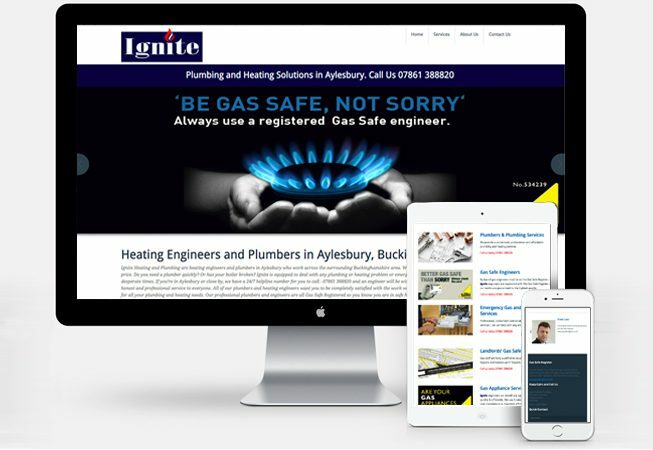 Ignite Plumbing & Heating are an independent business in Aylesbury looking to establish themselves in the area. To provide a more professional online presence a website was required. The client was keen to display the variety of services that they offer and the importance of safety when it comes to working with gas. Using a WordPress template for the site layout means that the client has the option to update the site content themselves.